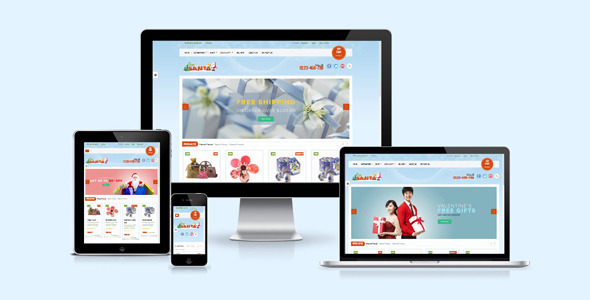 Leo Mobile is extremely powerful Prestashop theme, could be used not only for small stores but also as a fully professional e-commerce site solution. 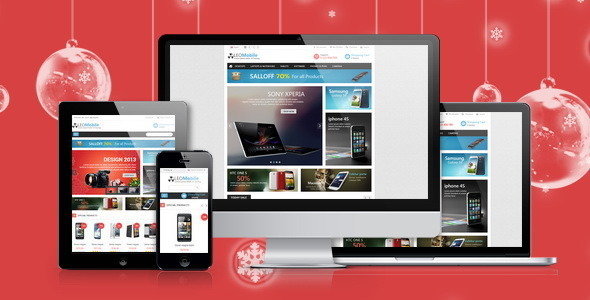 Neat and clean design bring a bright layout for any kind of shop with stylish design and powerful back-office..
As Christmas is coming to town very soon, Bossthemes specially designs the newResponsive Opencart Christmas template. If you are about to open a store to sell Christmas decorations, or your store are stocking up these stuff for this special time only, you both will need this design. Spice Shoppe Shopping Cart Template built on Bootstrap version 3.2.0. Providing a total of 13 Html pages. It’s that wonderful time of the year! So get ready for a nice special marketing. “Seraphine” is a beautiful christmas landing page (turn it into any event you like though) which also comes with a newsletter so you can greet your loyal customers and increase your sales during holidays! Eattie is professional HTML5 template for restaurants and cafes. We know everything starts with the guest. Finding and holding on this elusive creature is the most important factor in the success of any food serving facility. With this template it’s almost piece of cake. Eattie has modern elegant design along with strong functionality. Have a look at Eattie’s main features. The Glass Box Theme is a boxed transparent theme layer for Bootstrap, particularly well suited to showcasing images or tech based products and services. Eterna is an awesome responsive bootstrap site template professionally designed for any kind websites. Eterna coded carefully and passed HTML5 validator also all template files are organized and well structured so it’s very customizable and developer/newbie friendly. This template comes with 5 predefined accent colors that separated in single css file for each skin/color for easiest understanding, Switch between boxed & stretched layout in seconds, Unlimited color possibility, Rearrange template elements easily without breaking the layout, PSD source of elements, Documentation/help file and much more! Let know how to monitor competitors’ traffic ?? ?